I have missed participating in the Sew Mama Sew Giveaway Day! 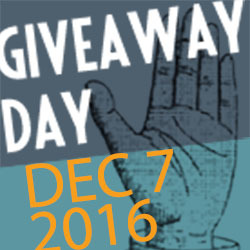 It is thrilling to be joining in the most exciting giveaway event of the season! There are literally hundreds of giveaway opportunities at your fingertips without having to spend hours searching! You may still spend hours looking but it is SO MUCH FUN! There are many goodies to browse including crafting supplies sewing fabrics and threads to handmade items. Grab something warm to drink, a snack and be prepared for some serious awesomeness! For Sunday Stash, I shared the upcoming ( available Feb 2017) Spring Bunny Fun for Moda Fabrics. 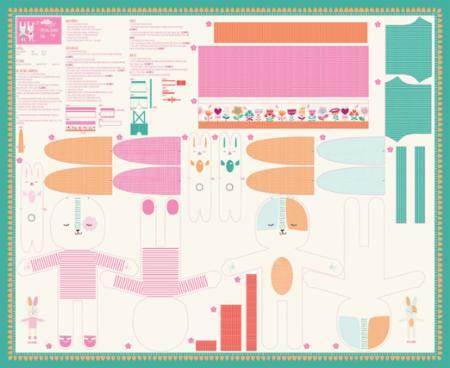 Let's get this party started with how you can win this fabulous fat quarter bundle! This giveaway will be open until Sunday 11 Dec, a random winner will be chosen and notified by Wed 14 December. This giveaway is open to my international friends. To enter for your chance to win, please follow the Rafflecopter prompts. You do not have to do all of the options for a change to win but your chances increase with the more options you do. Be sure to go and check out the other giveaway opportunities on Sew Mama Sew Giveaway Day! I love the rum cherries we get from the candy store for Christmas! A local guy makes them by soaking the cherries in rum before coating them in chocolate. Greetings to you from Australia. So far, we have had a very cool spring and summer. I don't really like it very hot so it suits me just fine that it is not so hot this year (so far!). Our school year is drawing to a close and everyone is focussed on summer holidays and time with family. Mmmm trifle and truffles (the chocolate kind although the others are good too). My favorite treat is making French cookies. I got this family recipe from two of my great aunts, who used a pinch of this, and a pinch of that. You have to make them in an iron that makes one at a time, so they take forever to complete, but are so good!! My favorite is making apple bread pudding and just simple sugar cookies that snap when you bite into them. I love pumpkin cookies. I got the recipe years ago from a boss of mine's wife. I love love love them. Peanut butter fudge I wait all year for it. I love this, have little girl grandblessing's that would love the bunny! Cappuccino Flats. A recipe from a BH&G Christmas cookie book I've had for ages. I love anything with a peppermint flavor! Snicker doodle cookies. The whole family loves them. We love s'mores!!! Pretty much all year. Don't need an excuse. Lol! I don't really like cookies! Strange, I know! But I do like pumpkin pie! I love my Mom's fudge! I have to have my snowball cookies (Russian Teacakes) every year. We always had these from the time I was a little girl. Thanks for the giveaway. The Basler Brunsli! Chocolaty and with lots of almonds! My favorite is Fudgy chocolate chip toffee bars. Hi Kim, cool to meet you via blog and SMS day! Martha Stewarts recipe for Sugar Cookies, buttery good. I love frosted cut out cookies that have been decorated with sugar or tiny sprinkles. The crunch adds to the delicious factor. Definitely German gingerbread and Stollen! Other than pecan pie my favorite holiday treat are little pecan tart cookies my MIL makes. My favorite is Pecan Pie. Thank you for the giveaway. I have a great sugar cookie recipe and a giant cookie cutter collection. My daughter and I cut and frost the cookies. Fudge and chocolate bark! Great blog and great giveaway. Thanks for sharing! My favorite holiday treat is my Mom's homemade kolache! The "Christmas treat" I'm craving now is tiny open faced European sandwhiches my Czech mom makes every year at Christmas! Baguette slices with a potato salad - esque spread topped with ham, salami, egg, Parmesan cheese, parsley, and a few other things! They're so good and we always eat them for Christmas morning breakfast during present opening! My favorite holiday cookie is jammy thumbprints! I'm planning to bake some this weekend with my little daughter. My family loves my Raspberry Shortbread Bars. I prefer something chocolate, but these are super good too! Gingerbread boys! We love to make them with the grandkids every Christmas. When they were small we would make them, decorate them and when they were asleep, hide them all around the house and outside! My favorite treat is Molasses cut out cookies with a thin glaze of frosting. I just love making all kinds of cookies! Eating them is even more fun. These colors in this bundle are just too cute! Caramel corn made with Old Dutch Puff Corn. Totally addicting! My grandma's cinnamon rolls will always be a Christmas favorite--I make the recipe every year! I got some popcorn last year from Texas. It was made by a college only at Christmas. It had white chocolate, and dark chocolate drizzled on it. It was so good, I could not put it down. Really want more this year, but don't know where to get it. I love cream de menthe bars! We make them every year for the Holidays! I enjoy Snickerdoodles as my favorite cookie. Even as a child I loved them and now as an adult I still do. My favorite treat would be the infamous Chex Mix Snack Mix. Thank you for being a part of the SMS Giveaway Day and this opportunity to become a winner. Nothing is more special than seeing a nice package in your mail box waiting for you to pick up and you know that you just won and want to do the Happy Dance. Happy Holidays! My favorite holiday cookie is Cream Cheese Spritz! Thanks for the chance to win! I love anything chocolate! Chocolate cookies with peppermint kisses in the middle are yummy. Oh wow, favorite cookies. Mexican wedding cakes and bon bons! Thanks for the chance to win! I love iced sugar cookies. Make the every year even IF I'm the only one eating them. I love homemade candy--my mom makes fudge and divinity, I make marshmallows. Caramels are always a huge treat...Homemade is so amazing! I haven't met a sweet yet that I don't love, hehe. This time of year I love a good gingerbread man cookie. Thanks for a chance to win. Happy Holidays! My favorite holiday cookie is Baklava! Delicious! My grandma always made candy cane cookies. That's Christmas to me! What a great variety of treats! I just had some Fake Almond Roca and got the recipe so that I think will be my favorite this year! Thanks for the chance and for sharing! Being half Swedish it has to be Swedish Cardamom Bread. Delish! I have never met a homemade Christmas cookie I didn't like.i love old fashioned sugar cookies the best, it wouldn't be Christmas without them. My great grandmother's molasses cookie recipe is my favorite! Peanutbutter Blossoms...the peanut butter cookies with a Hershey's kiss in the middle. I love chocolate cookies, gingerbread and my best favorite Christmas candy is Turrón de Alicante.Thanks! I love rum balls made with Baileys! Pfeffernusse cookies are my favourites! Every year we make M&M cookies, so they are my favorite. Nice and chewy :-) Thanks for the generous giveaway. HI,it is "Peanut Butter Fudge"! My Mom did it to me! LOL! Thanks for your neat Giveaway! MERRY CHRISTMAS! I love all of them! :) I love lemon drops, snickerdoodles, chocolate chip, and sugar cookies. I would love to this!! Super spiked homemade EggNog!!! My family says I cannot participate in the festivities unless I make it. I like sugar cookies the best. Thanks for a great giveaway. I love cut out sugar cookies. I make sugar cookie cutouts with my granddaughters. I love British fruit cake or Christmas cake as it's known. Thanks for the opportunity to win. I wish I liked only 1 holiday treat. I think I'm a sucker for bundt cakes and chocolate chip cookies. Of course, if you put chocolate truffles in front of me, those will be gone first! I love orange zest sugar cookies. I love the pop of flavor that they possess. I love peanut butter blossoms...you know, the ones with the Hershey kiss in the middle! I love mexican wedding cakes. Its a tough question (like picking a favorite child, lol). I really adore sugar cookies- it's usually the only time of year we make them. I like iced sugar cookies. I only get to eat them once a year! This is a popular question, and it's making me want sweets! My Mom makes the best soft cut-out cookie! My sister makes the best peanut butter kiss cookie! And I also love to make No Bake Cookies, which my family calls Sweet Treats! Alright, I'm gonna go find the oatmeal, sugar, cocoa powder, peanut butter, etc, and make some Sweet Treats! Anything chocolate: hot chocolate, peppermint bark, meltaways, turtles! I love cutout cookies with frosting and sprinkles! I really love sugar cookies. I love rum cream pie! It tastes like eggnog in a pie shell. Would be easier to say what I don't like!! Shortbread is a favorite though!! And some Bailey's Irish Cream!! Have a very Merry Christmas Kim! We make Mexican chocolate macaroons every year. Doesn't get any better than spicy chocolate and coconut! Date pinwheel cookies and homemade Carmel corn are my favs! My pound cake cookies that have been on the Christmas baking menu since 1987! Fruitcake cookies. Sooooo good, even if you aren't crazy about fruitcake. And the freeze well. Lemon pound cake made by my mother-in-law! I have a crispy sugar tea cookie that is just so flavorful! Put colored sugar on before baking, just love them. I love fudge and cake balls. My favorite is mincemeat cookies. May favorite threat are squares. I always make them with a shortbread base and then coconut, eggs and various ingredients (eg chocolate chips, cherries etc) on top. Easy to make, keep and freeze well and are tasty. Thanks for the giveaway. A kiefil cookie (more of a pastry really--lots of butter and sugar layered into a sourcream dough). I love making Spritz (Norwegian butter cookies) with candied fruit in the middle. Thanks. Love the bunnies. Great fabric. I love cookies of all kinds. I love pies and cakes and ... ;) Anything with coconut! These fabric colors are wonderful, btw. Bright, cheery and ready to go!! Great giveaway. I love Biscotti. There are so many kinds. I like peppermint pie or chex mix the most. I don't have a favorite. But this year I am looking forward to making a peppermint sugar cookie dipped in white chocolate. Thanks for the opportunity. Date balls, made with rice krispies and coconut. My mom only made these at Christmas time. I love sweet potato casserole. I love chocolate Carmel brownies. My favorite cookies are Snickerdoodles. I use a recipe from junior high home ec. Thanks for the giveaway. I absolutely love my mom's mincemeat tarts!! My favorite holiday treat is granny's sugar cookies. Elephant ears (pastries!) on Christmas morning! I love my MILs chocolate peppermint brownies! I love shortbread cookies at Christmas or anytime of the year. Thanks for the chance. Holiday treat would be fresh coconut cake like my parents made every year when I was growing up. My dad would put 3 holes in the coconut with nails and drain the milk, and my mom made the best cake. Coconut cake = Christmas! I love Spritz with the cookie gun. I mix a double batch, dye 1/2 with green food coloring and use the tree die, then add sugar, sprinkles, or other decors to bake. I keep the rest white, use a round die, and dip the baked chocolates in melted chocolate and sprinkles. Easy, and so good, but they look great! Love making cutouts & decorating with Daughter & Grangirlie! My Husband's favorite is Spice Drops..his Momma's recipe . Thank you for chance to win your Give-a-way too! I love raspberry jam thumbprintcookies or my orange shortbread dipped in dark chocolate. Any Christmas cookie is my fav! My favorite holiday cookie is the traditional decorated, cookie-cutter sugar cookie! They are fun to make, decorate and eat! Pumpkin pie, or anything pumpkin really! I love Linzer cookies!! thank you! I like "Christmas Crack" - it's like toffee with saltines in it and then covered in chocolate. I love butter cookies with big sugar sprinkles right now! 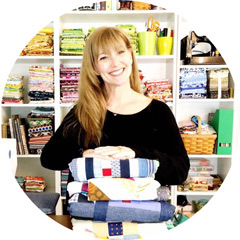 Love your fabric bundle! My favorite Christmas cookies are gingerbread - especially in the afternoon with cup of tea! My favorite Christmas cookies are Snickerdoodles! I absolutely love the brilliant bright and bold fabric bundle you have chosen for your give away! Thank You for the opportunity to win this awesome prize! Have a fantastic creative day! I love snickerdoodles! Just love cinnamon in the winter. I love peanut butter blossom cookies! I love date crumbles. Thanks for the opportunity to win such pretty fabrics. I love peanut butter Hershey kisses cookies; a once a year indulgence! Peanut butter fudge. Thanks for the give a way. I love anything with peppermint in it. Thanks for the chance. Glazed Cherry Bars! Family recipe. Mmmmm! I love snicker doodle cookies and Hershey kisses during Christmas time! I love sugar cookies and cheesecake! My favoite cookies are Vanillekipferl. I love my mom's thimble cookies & this Chex white-chocolate Christmas Crack stuff she makes. My favorite is "Christmas Crack" which is a toffee bark with chocolate frosting. Another family favorite are Oreo cookie balls.